I saw Adam Savage from Mythbuster's on Tested doing a one-day-build and he built a gun case for his Bladerunner weapon replica. This was an awesome build and I always wanted to do something like this. Not for any particularl item but a case that has some boxes inside to store valuable items. So here we go. I've made a simple drawing of a case, it has a leather outside and felt inside. It needs a opening and closing mechanism and the corners should be protected, edge protectors like cases usually have. 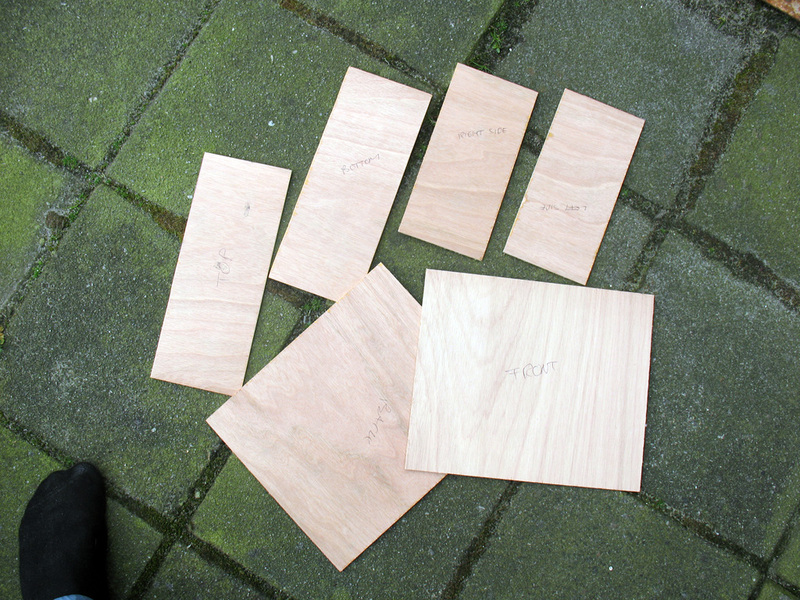 I started with some pieces of plywood (3.6 mm) for all the sides (the case will be 27x22x10 cm). 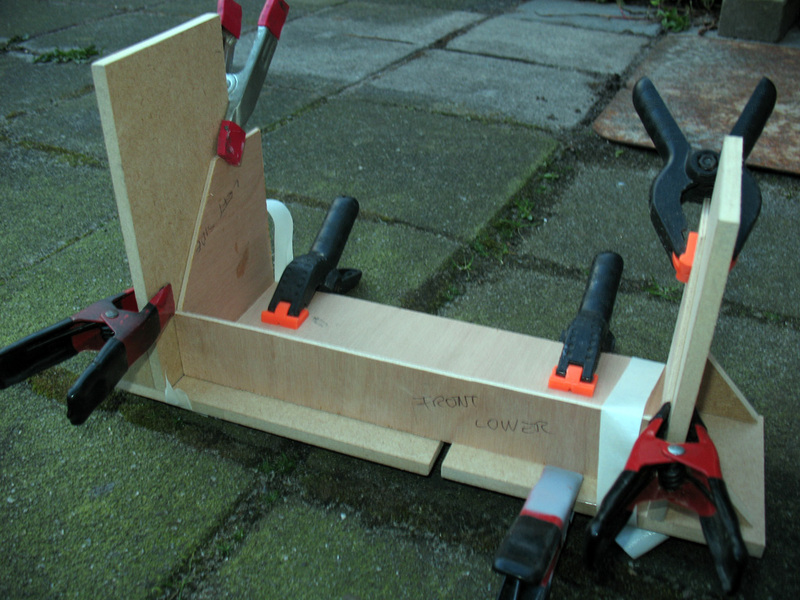 Then I cut the sides in half, so I can build the two sides of the case, then glued the parts together. 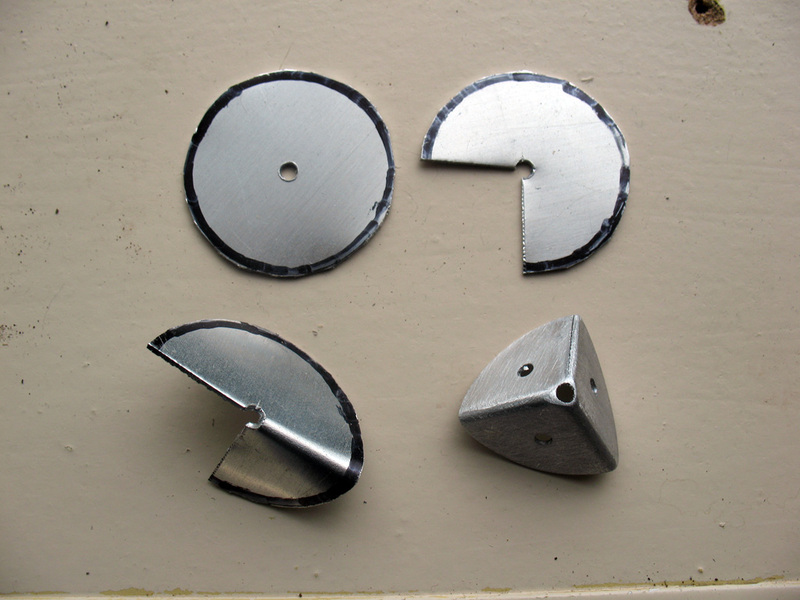 While that's drying I found some aluminium I can use for the 8 edge protectors and started making one. Check out the progress on this build the next time as I try to make the two halves come together and start working with leather and a piano-hinge.